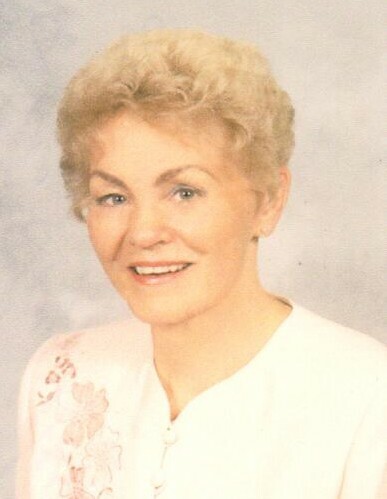 Lois Lang Reber Taylor, 87, passed away on December 3, 2018. She was born on February 18, 1931 in St. George, UT, the daughter of Perry and Myrtle Lang Bryner. She married Kendle Ernest Reber on May 14, 1952 in the St. George LDS Temple. Kendle passed away on May 8, 1995. She married Lynn Taylor in June 1999, in Ogden. Lois enjoyed working as a school bus aide, but mostly she enjoyed being a wife, mother, and grandmother. She loved boating on Lake Powell and fishing on the local lakes. Lois loved sewing for her children and grandchildren, working in the garden and bottling food. She also loved to cook for her family. She was a member of The Church of Jesus Christ of Latter-day Saints and held numerous positions. She returned to her loving Heavenly Father and eternal family. Lois is survived by her husband, Lynn; son, Lang (Heidi) Reber; daughter, Cindy (Michael) Meyers; 17 grandchildren and numerous great-grandchildren. She was preceded in death by her first husband; son, Kirby Kendle Reber; daughter, Rebecca Norris; granddaughter, Kacie; four brothers, Fred, Ray, George, Joe; and three sisters. Funeral services will be held on Saturday, December 8, 2018 at 11 a.m. at Lindquist’s North Ogden Mortuary, 2140 N. Washington Blvd. Friends may visit with family on Friday from 6 to 8 p.m. and Saturday from 9:30 to 10:30 a.m. at the mortuary. Interment, Lindquist’s Washington Heights Memorial Park, 4500 Washington Blvd.